While developing a new program, “Beyond Pink,” I came to a personal realization. Like Elisabeth Kübler-Ross‘ five stages of grief, I’ve moved through four distinct emotional stages of pink. Kuber-Ross outlined a series of emotional stages for death and dying: denial, anger, bargaining, depression, and acceptance. While researching the history of pink for a presentation at a cancer resource center, I was able to reflect on and compartmentalize my feelings as I moved through treatment. There is no research in connection with my stages of pink, only personal insights. Feel free to substitute the color pink with the color that represents your cancer or ailment. The world doesn’t revolve around pink, though during the month of October, one begins to wonder, but that’s for another blog. The four stages include: universal support, treatment turmoil, end of treatment and moving on. Let’s look at each of these separately. First, Universal Support. This first stage is where we all start before cancer comes knocking at our door. It is a time for family and friends to engage in the larger cause of supporting a friend with (breast) cancer. The experience is second-hand and well meaning, but not first hand. I liken this to a time when my husband and I created a team at the ACS Relay for Life for our Confirmation class. We raised money, made team shirts, participated in the event, cheered on cancer survivors from the stands and walked laps of the track in support of “the cause.” It could also mean sponsoring a friend who is running or walking for a cause. Our donation feels good and it is something we can do to show others we care about what they are going through and do our small part to help work towards a cure. Second is Treatment Turmoil. This is the stage that begins once you are diagnosed with cancer. You’ve now crossed the line to cancer patient. Pink now means something different to you during the month of October. It may make you angry when you see the ribbon emblazoned on products you need to purchase or you may feel supported. There is no right way to feel. Some will recoil from friends and family, others will proudly engage in events as a survivor. I recall participating in the same ACS Relay for Life event, this time invited to the survivor tent for dinner, prizes and a purple shirt. 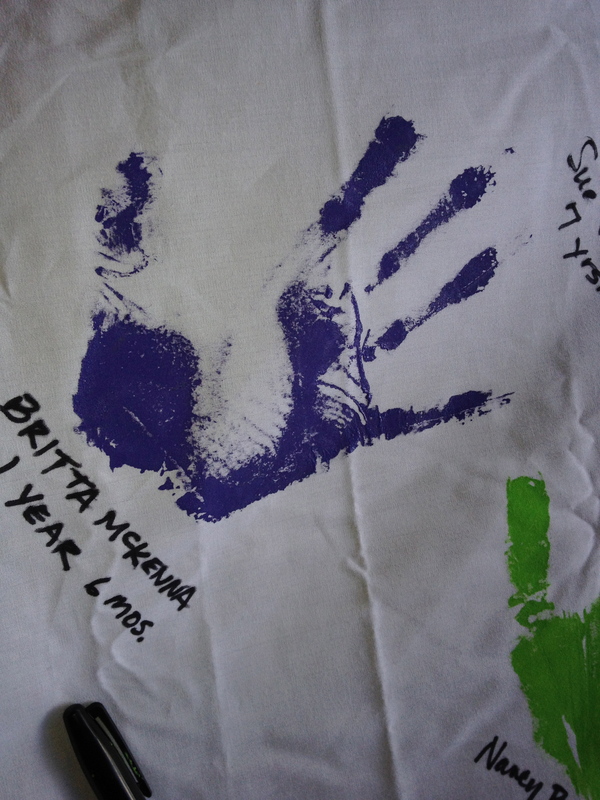 As I inked my handprint on the banner with purple paint, it branded my crossing over to Treatment Turmoil. Sitting on the track now instead of the stands and parading around the track as a survivor felt both weird and surreal. The stands full of Universal Supporters were now trying to honor and lift me up; it was both an uncomfortable, yet somehow supportive feeling. The third stage is End of Treatment. It commences when you complete your treatment. For some, this is a stage filled with celebration, while for others it is clouded with depression and yet others feel like they want to give back. For me, I was hit immediately with a distinct feeling of fear and abandonment by my medical team. As I drove away from my last doctor’s appointment, I had no idea what I should be doing next. That might be because I had no cancer after care plan, but that is for another blog. I turned that fear around by focusing on my goal of participating in the upcoming Avon 2-Day walk. While training for that walk, the time set aside to walk and think were both therapeutic and part of my wellness plan to lose weight. Over the months, my fear turned into a sense of accomplishment and giving back when I reached the finish line 39.3 miles later at the end of the second day of the walk. This is the same year I sat in the stands again at the ACS Relay for Life. I somehow feel more comfortable in the stands rather than seated with the survivors on the field. Again, there is no right way to feel. The fourth stage is Moving On. This is the time when you may want to forget about your cancer and treatment or help others through their cancer challenges. It may envelope you with the feeling you just want to feel or be treated normal again on one day and the next day you find yourself meeting a friend who just received news of a diagnosis. This is the stage I find myself in today. With a nagging thought now and again about recurrence, moving on is where I want to stay focused. As part of Moving On, I’ve set a new goal: walking The Camino, or Way of St. James with my husband in Spain in 2014. I’m a big believer of goal setting and encourage you to set goals no matter what stage you find yourself in today. A final thought comes from interaction during my talk this week at Wellness Place. I was reminded that you may bounce back and forth through these stages as time moves on. A comment by a breast cancer survivor whose cancer has metastasized, is that you may not stay in any one stage and you can jump through stages out of order. 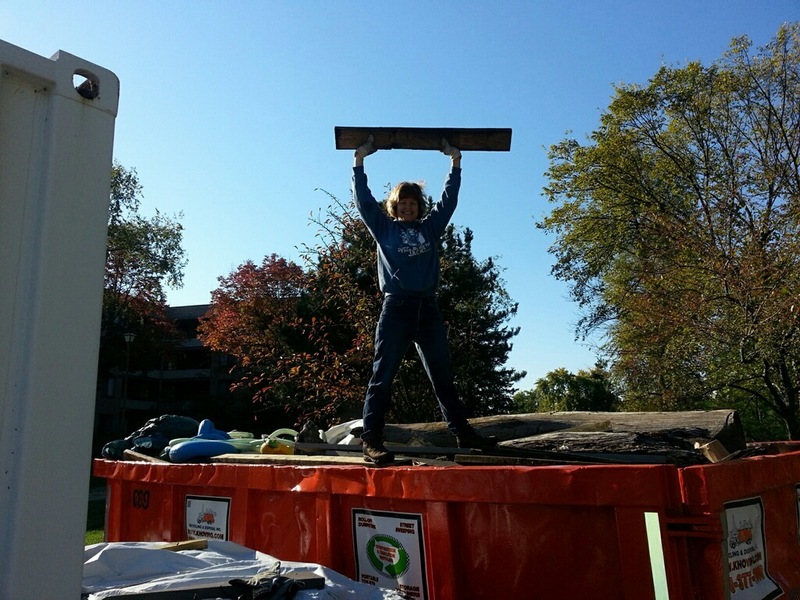 We are human and shaped by our environment, support systems and circumstances. There is no right way to grieve and no prescribed way to feel. By acknowledging there are stages, maybe you won’t feel like your feelings are abnormal; you aren’t alone. Great article!! So happy you have moved on to the survivor tent.